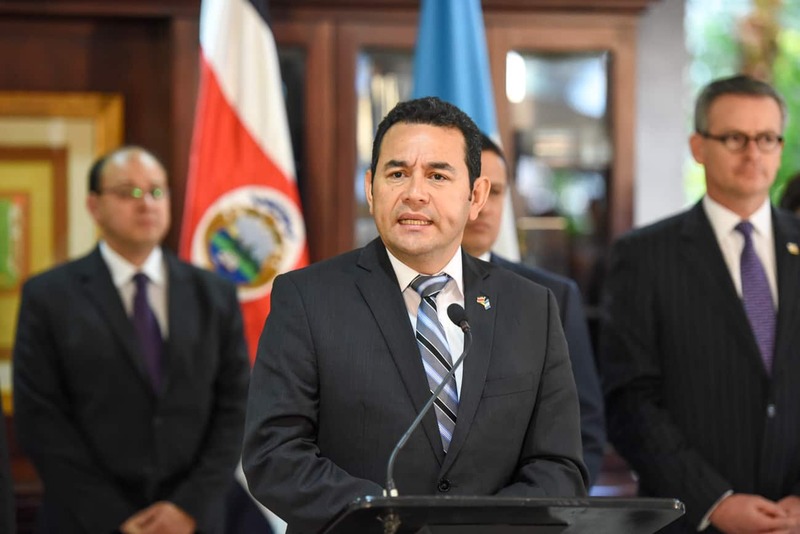 GUATEMALA CITY — Television comedian Jimmy Morales takes office as the new president Thursday in Guatemala, a country whose pressing problems offer little to laugh about: poverty, corruption and deadly violence. The former comic, 46, won fame on television for playing a country bumpkin who nearly becomes president. He has no previous real-life experience of elected office. Analysts say he won the October elections due to public disgust at corruption in this Central American country of 16 million people. “There are high expectations because there is a need for him to promote changes in the country and solve people’s problems,” said José Carlos Sanabria, a political analyst at the Research and Social Studies Association (ASIES). Morales’s predecessor Otto Pérez Molina was forced to step down as the courts investigated his alleged role in a bribery racket in the state customs authority. Morales won October’s presidential election by a landslide, vowing to fight what he called the “old politics” and corruption. In a recent interview, he promised “nice surprises.” But he has given few concrete details of his policies. Analysts have warned he lacks a true political base. Morales was not even expected to unveil his cabinet until hours before putting on the presidential sash at his investiture. “That will fuel doubts, skepticism and criticism,” said Sanabria. “To some extent he has failed to make the most of this long transition period” before his investiture, the analyst said. The foreign ministry said Morales had ordered the number of invitees to his investiture to be limited to save money. Among those who have confirmed their attendance is U.S. Vice President Joe Biden. After the ceremony late Thursday, Morales will have to get to work fighting Guatemala’s pressing problems. Poverty affects just under 60 percent of the population. The homicide rate is one of the highest in the region at 35 killings per 100,000 inhabitants. Morales fronts the conservative FCN-Nación party, a group founded by former military officers. FCN-Nación holds just 11 seats in the 158-seat Congress, which could make governing difficult for the new president. Some of the officers linked to the party are accused of committing atrocities during Guatemala’s 1960-1996 civil war. Morales has denied the party has anyone linked to civil war abuses in its ranks. But one of its newly elected lawmakers is Edgar Ovalle, a former officer accused of human rights violations in the war. Guatemala has still not recovered from the social problems caused by the 36 years of conflict. Plagued by gang- and drug-related violence, the country recorded 6,000 murders last year alone. Its problems were heightened by political instability last year when the corruption scandal broke out, sparking street protests. Despite the circumstances, Morales led a light-hearted campaign, cracking jokes at rallies.